ESL One is approaching tomorrow, where the best Counter Strike GO teams in the world will be competing for $250,000 in prize money. 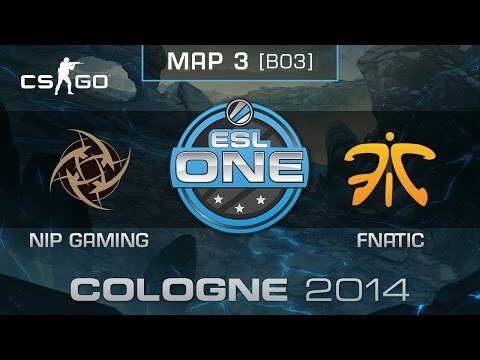 Read on to view predictions and previews for ESL One Cologne. Ninjas in Pyjamas are your ESL One Cologne 2014 champions! ESL One Cologne is over and the champions stand strong. After a great run through the tournament with wins over LDLC in semis and Fnatic in the grand finals, NiP walk away $100,000 richer. After an eventful day 3 in Cologne the top four teams have been determined. Tomorrow Fnatic will be battling Team Dignitas for a chance to show their abilities and prove themselves as the best whilest Team LDLC and the Swedish squad, Ninjas in Pyjamas will face off to earn the other spot in the grand finals. The first match taking place at 9.00 CEST. 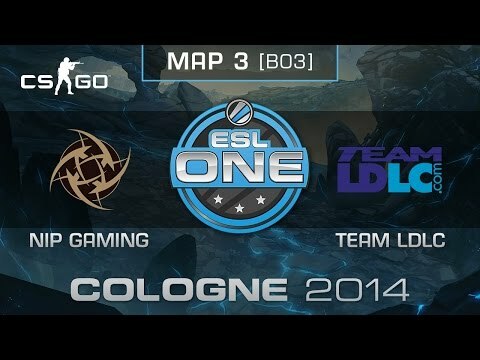 Day 2 of ESL One Cologne has come to an end with all the quarter finalists known. Day 3 will kick off at 09.00 CEST with a best of 3 series between the squad from Sweden, Fnatic and the Ukrainian team, Natus Vincere. The Day 1 of ESL One Cologne has come to a close with twelwe matches played in total, three in each group. Four teams already got eliminated while, one from each group. The tournament continues tomorrow with Winner's and Consolidation matches of all groups. CS:GO Caster Dust Mouret hosts The Hype Episode 13, this time featuring Scott "SirScoots" Smith, the anchor host of ESL One Cologne 2014. Watch the interview to gain insight to one of the most veteran minds in the CS:GO community.